Sophie was surrendered to SAFE by her owner with a serious injury from an uncapped t‐post that left a gaping wound in her neck. Miraculously the t‐post did not rupture her esophagus or her jugular vein, but missed both by mere millimeters. She made a full recovery from this injury and now only a slight scar shows where it was. Sophie has been a pleasure to be around since day one. 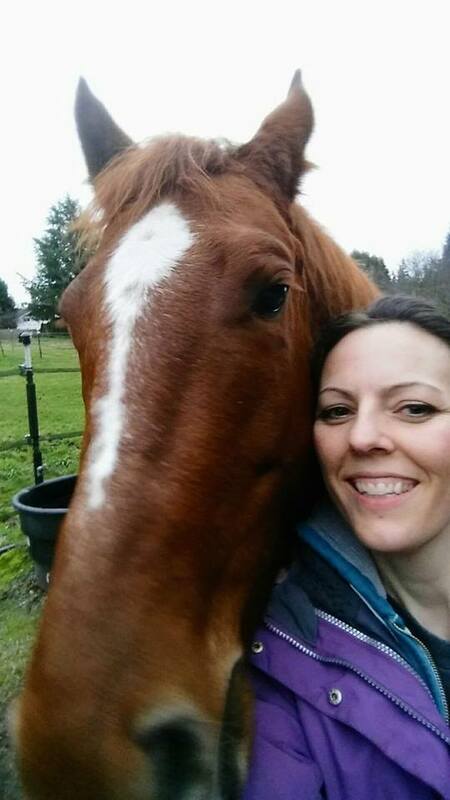 She is bright, friendly, and sweet and easily makes friends with horses and humans alike. 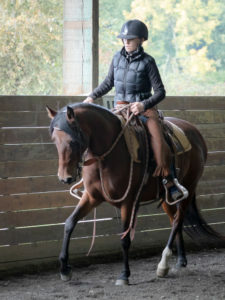 By age four, Sophie was ready to be started under saddle, and was sent to Joel Conner to learn to be a riding horse. 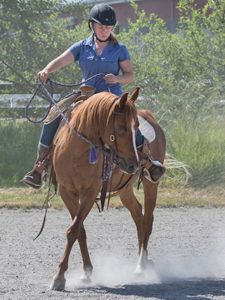 Unsurprisingly, this bright, good‐natured filly was a breeze to start, and in a very short amount of time, she was going beautifully at walk, trot, canter, and even being roped off of. 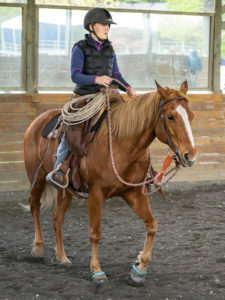 Sophie found her forever home with one of SAFE’s neighbors and volunteers, who has introduced her to a world of fun and adventure on the trails!